What came first for you, road bikes or race bikes? I’ve ridden since my mid-twenties, just before I got into working in the sport. It was partly racing that got me into it though; I’d been watching for a few years and riding out with friends as a pillion. But then I realised ‘I don’t want to be doing this – it’s a bit boring’, so I went out and got my licence. And do you still ride? Yes, although I’ve not done that much road riding in the past few years, just because I’ve been so busy that I haven’t had time. But I’m getting back into it now in quite a big way! I’m going to be doing a lot of riding in the next few years, I feel! I was out riding recently with Neil Hodgson for a project we’re working on and we ended up being out on the coldest day of the year, freezing our arses off! We were standing outside this pub at 9am and the owner came out to ask what we were doing. He took pity on us and asked if we wanted to come in for a coffee, and we were so cold, we dived inside! So what’s in your garage? 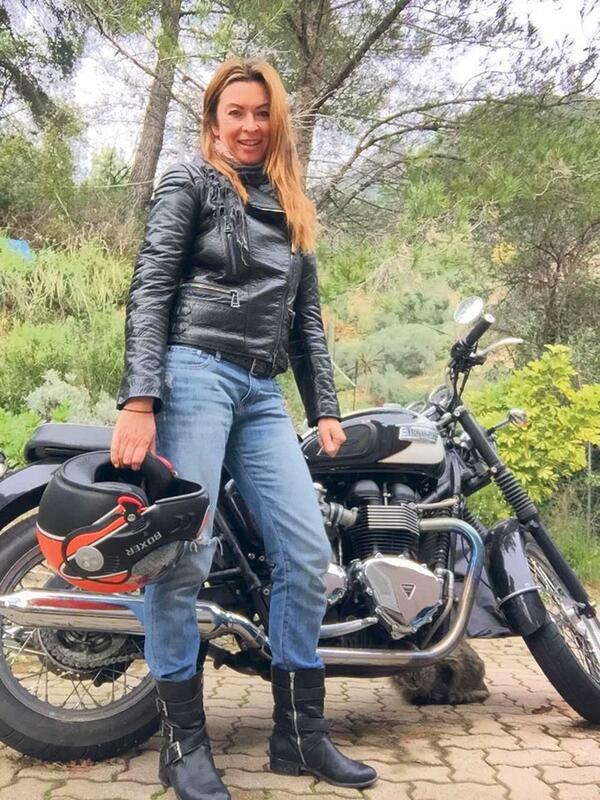 I have a Triumph Bonneville, a new generation one not an old oil leaker, which I’ve had for about five years now. It lives in my house in the south of France, which is great because the weather is much nicer down there for older bikers! There are some fantastic roads down in that part of the world, and the Bonneville suits them perfectly. I love the bike – it’s easy to ride, it’s comfortable, and it’s still cool. I come back to it sometimes to find people standing around looking at it, which is always a nice feeling. The best bike I’ve ever owned was probably my Ducati Monster. I had a 750, and it was a cool bike to own, and cool to ride. 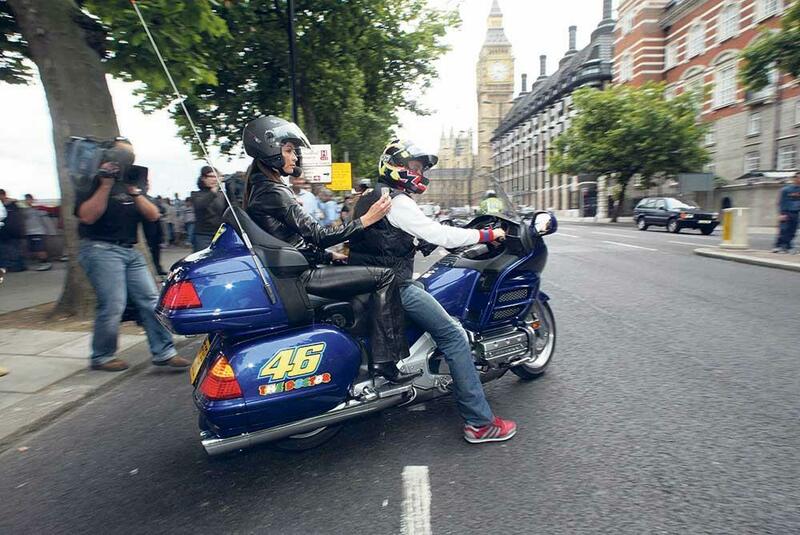 But my best biking experience has to be riding with Valentino, because not many people can say they’ve done that! I know I complain about being a pillion, but if you get a chance to get on the back with Valentino, you can’t moan too much! It was a lot of fun for me, definitely one of my highlights. I’ve been lucky enough to have gone around tracks with some top racers too – Steve Parrish, Randy Mamola, James Haydon. To ride with real riders that brake properly and throw you around a bit is always fun. The days of me jumping on a bike and opening up the throttle to see how fast it goes are gone – I’ve slowed down, a little bit! I’ve always said my dream bike would be Carl Fogarty’s 916 from my World Superbike days – and it still has that appeal. I love the look of it, the sound of it. It’s the classic era of WSB, and I’m not sure we’ll see anything like that again.